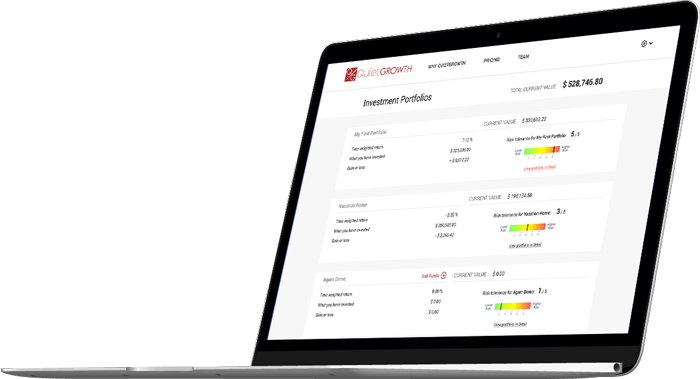 Are you a financial adviser or accountant who wants to invest all or part of the portfolios of your clients through QuietGrowth? Want to create an adviser account? Thanks for your interest to suggest QuietGrowth Portfolios to your clients. You can create an Adviser account with QuietGrowth. Through your QuietGrowth account, you can set up QuietGrowth portfolios and can monitor the investments of your clients in QuietGrowth Portfolios. Please provide the below information, and we will contact you to set up your account.